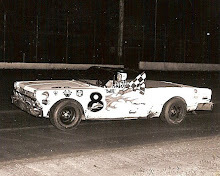 Oskaloosa, Iowa (July 2, 1969) – In a demonstration of driving skill and speed seldom equaled on the fast half-mile dirt track at the Southern Iowa Fairgrounds, Mel Morris held off a challenging John Moss to win the feature event of the super stock car program at Oskaloosa Wednesday night. 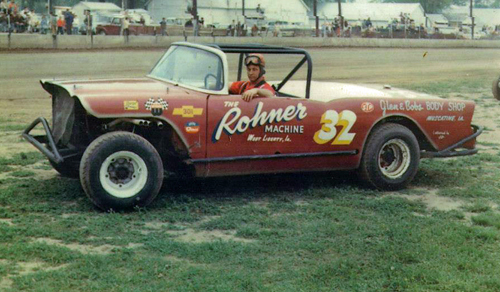 Drivers were turning the half-mile in just over 24 seconds as the West Liberty driver led 16 cars to a fast start in the 15-lap main event and held off some of the fastest drivers in the Midwest, including former Southern Iowa Racing Association champ John Moss of Riverside. 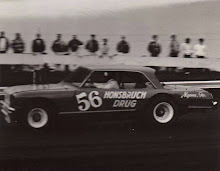 Moss challenged the leader on several occasions but was never more threatening than the thundering flight down the front stretch for the checkered flag when he made a last-second bid for the win. Morris met the challenge, however, and held Big John to second place finish, gaining an even greater lead as top point holder going into next week’s mid-season championship competition. Mel will rate top billing with his first place in point standings as drivers compete for a $1,800 purse next Wednesday night. Highlight of the S.I.R.A. mid-season championships will be a 30-lap feature event. In the 5-lap trophy dash, traditional opening of the super stock card here, Del Stokke of Ames topped the field of 5 cars to claim his first trophy of the current season at Oskaloosa. Ron Perdock of Washington and newcomer Lyle Behne of Moline, Ill., were side by side going into turn one in the first of three 8-lap heat events. Perdock made the turn and Behne cleared the fence as he went high. 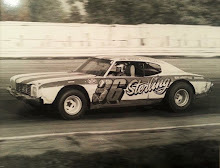 John Moss took the lead from Slim Doonan of Brooklyn in the second lap of that event and held it to cross the finish line ahead of Tom Stewart, Washington, who placed second. Newcomer Don Davidson of Des Moines suffered from car trouble on the first lap of the second heat event, but it didn’t compare with the woe felt by Joel Rasmussen of Ames as he lost a wheel and tie rod to a three-car tangle involving him, Bill Quick of North English and Curt Hanson of Dike. Nor was Bill Hudson of Montezuma any too happy when he lost his driveshaft on the front stretch, was prevented from pulling into the pits when he was blocked by a slower car and then was plowed into by cars coming behind him between turns one and two. 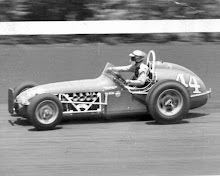 Mel Morris was probably the only driver who was happy in the second heat, as he claimed the win from Pokey West of West Chester, who finished second. Dan Clements of Rhoads won the uneventful third heat of the evening which gave fans a chance to catch their breath before the Australian Pursuit which followed. After Tom Stewart and Pokey West tangled in turn three of lap 4 of that six-lap race, officials ruled Stewart could resume the place he held on the previous lap. An angry Mel Morris proceeded to pass all three cars remaining, including Stewart, as if to show his disapproval of the judge’s decision. 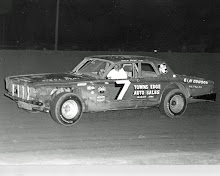 Of the 16 cars posted for the 10-lap consolation event, only 10 were able to make the track, and Bob McCall, Irvin Phillips and Jim Westercamp claimed the first three places in that race to qualify for the main.